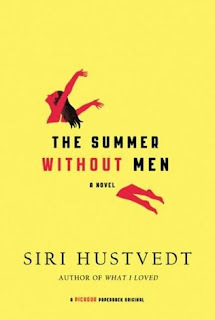 Wicked Wonderful Words: Review: "The Summer Without Men"
Summer is most definitely over now - october has set in loud and clear in Copenhagen with lots of rainy days and brown leaves on the ground. Not unpleasant but not summer either. The season for staying inside with a cup of tea and a good book is here and I am not one to complain about that. Nothing beats the cosiness of being wrapped up in a blanket with a good book and a cup of tea on a rainy Sunday. Pure bliss. 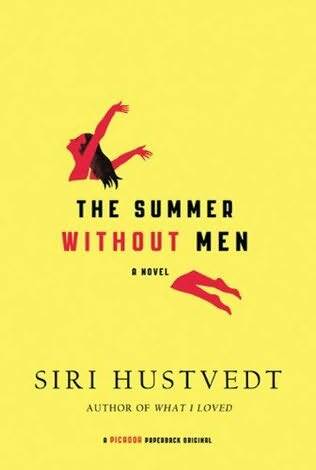 One of my early-autumn reads this year was "The Summer Without Men" by Siri Hustvedt. I chose it for the title and the author and I must say that the title is oddly fitting for my life as my boyfriend and I have now lived in a long-distance relationship for four long months. However, this week is the final one. But it has been a summer more or less without men for me so this book made sense to me on a personal level. When Hustved writes without men, she means it. There are no men in this book except for the ones that we are told about by the women that this book is really about. The narrator is Mia, a poet, a mother and a wife to the philandering neuro-scientist Boris who has become so enchanted by a French colleague that he leaves his wife of twenty-odd years for her. And that leaves Mia with a mental breakdown, literally, which sends her straight to the psychiatric ward and from there to a summer of rest and recovery in her childhood town. Coming back to the town that she left behind when she ventured into the land of adults is not easy for Mia but despite her frail mental state and her anger and frustration with Boris and his Pause, she manages to carve out a place for herself in the local community. As she teaches a summer class about creative writing, she gets caught up in the catty intrigues of teenage girls and as she visits her mother's friends, she has to face the difficulties of old age and the constant shadow of death that hangs over these ladies in their 80's and 90's. It is both sobering and hilarious reading at once because it is so easy to relate to. Hustvedt manages to perfectly capture both the confusion in the mind of a teenage girl and the resignation of a lived that has been lived and is soon to end. Actually this book should come with a warning: "Read only if you are ready to think about some of life's big questions" because - at least for me - the reading opens up for a lot of thoughts about how to live life and how to make the most of the time we have. This is probably also the reason why it took me a long time to read this book - because I took it in little bites in order to be able to process it. However, it is not all as "heavy" as it sounds because as a narrator, Mia is full of witty remarks. Her sharp observations and dry sense of humor lifts this book to another level. Her internal dialogue and her anger with Boris is honestly really entertaining and this counteracts the many philosophical parts so that it ends up being a perfectly balanced book. And I think this is where I end this review. By saying that this is a perfectly balanced book. I had me laugh, cry and worry and it also got me thinking. What more can you ask for in an autumn read?